Dog bite liability claims in California are, unfortunately, a more common occurrence than one might think. Many people are bitten and seriously injured or even killed by dogs each year in California. The state has the highest percentage of fatal dog bite cases in the nation, and 70 percent of those who are killed are children under the age of 12. In the case of children, dogs often bite when children try to pet the dog. When someone is bitten by a dog, the dog’s owner may be liable for their dog’s actions and the resulting injuries or death. While a dog bite may happen at any time, there are certain scenarios that occur in many dog bite cases. Some dogs are improperly restrained and break loose, attacking people who are walking nearby. Other bites occur when an owner tries to break up a fight between their dog and another while they are on a walk. 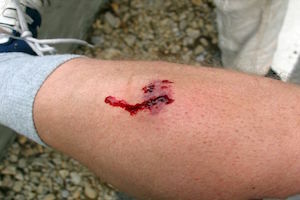 Dog bites in public places when the dog is let off its leash are also common, including at parks, dog parks and dog beaches. 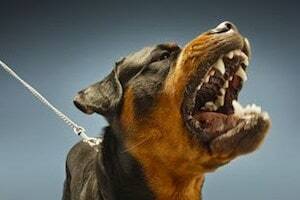 Dogs attacking people such as postal workers or meter readers with whom the dog is unfamiliar is also common, as are bites occurring when a dog is protecting its puppies or its home. Owners may be held liable for dog bites when their dog bites someone in a public place. They may also be liable if the dog bites another person on private property if the person had a legal right to be on the property. This may include people who are there to do their jobs, such as letter carriers or meter readers, as well as guests of a homeowner who are bitten while they are visiting. States have different rules regarding a dog owner’s liability for their dog biting others. Some states follow the “one-bite” rule of liability. Under this rule, the dog’s owner may be liable if they knew or had reason to know their dog might bite. While this historically meant that owners would only be liable if their dogs had bitten someone before, a dog owner in states that follow this rule may be held liable if they had reason to know their animal could bite due to its breed or due to recent occurrences. In states that follow one-bite laws, it can be more difficult proving that the owner knew or had reason to know their dog might bite. In states that have strict liability laws, proving a dog bite case is more straightforward. In these states, a dog’s owner is held to be liable whether or not they knew or had reason to know their dog might bite another person. California is a strict liability state. Under Cal. Civ. Code 3342(a), a dog owner is strictly liable when their dog bites a person in public or one who is legally present on their property. Legal presence is defined as someone who is on the property to perform work or one who is their by the implied or expressed invitation of the property’s owner. After a person has been bitten by a dog, it is important for them to get help from an attorney as soon as possible. An attorney may be able to get the police and medical reports. They may also be able to check the dog’s quarantine status and determine who the dog’s owner is. An attorney may investigate to find out if the dog’s owner has insurance that might pay for their client’s damages and medical expenses. If you, your child or another loved one has been bitten by a dog, contact a personal injury lawyer today. There are defenses to such claims being “assumption of the risk” or “ comparative fault “. In other words, if the injury victim did something to cause the dog to attack and bite them such as provoking the dog, this may be raised as a way to argue for lesser damages based upon the percentage of fault of the injured person. In addition, to qualify for statutory strict liability under CA Civ. Code 3342(a), the victim must sustain a “bite” as opposed to another type of attack-related injury (e.g. being scratched, knocked down, etc.) There is also an exception to this statute for military or police dogs. Furthermore, if the dog resides in a rental property, it must be shown that the owner of the property knew that the dog was present and that it had dangerous tendencies to find the landlord liable. 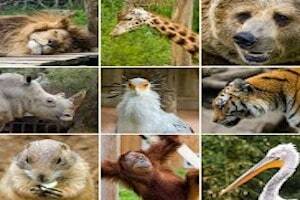 Wild Animals: A “wild animal” is one “that belongs to a category of animals that have not been generally domesticated and that are likely, unless restrained, to cause personal injury.” (Rest.3d, Torts: Liability for Physical and Emotional Harm §22(b).) Wild animals are presumed to be capable of causing physical harm to others and, therefore, their “dangerous propensities” are presumed. As the California Courts have held, “Since the owner of a wild animal, having knowledge that it is vicious and dangerous, is an insurer against the acts of the animal to anyone who is injured, unless such person voluntarily or consciously does something which brings the injury on himself, the question of the owner’s negligence is not involved…” Baugh v. Beatty, 91 Cal. App. 2d 786, 205 P.2d 671 (1949) [Case involving an attack by a chimpanzee]. Where the dog or animal attack does not fit within one of the above categories of “strict liability”, the owner or keeper of the animal may still be found liable for injures sustained from being mauled, knocked down, scratched, bitten, struck, or otherwise injured due to the aggression of any type of domestic or wild beast where it can be shown that the owner or keeper was negligent. As I have explained in other posts, negligence requires the showing of a duty on the part of the owner or keeper to act in a reasonable manner to avoid harming others and a breach of that duty that causes harm by being more than a trivial or remote factor in infliction of physical or emotional damage to the victim. It is estimated that hundreds of Californians are injured every year due to vicious attacks by dogs. In addition, there are thousands of places from ranches to theme parks to personal or commercial property in CA where both domestic and wild animals are kept that can sometimes cause significant personal injury. If you are unfortunate to experience such an event, it is important to seek prompt legal consultation with a lawyer familiar with the laws related to such incidents.